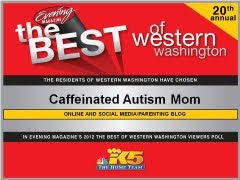 Caffeinated Autism Mom: Do you have a Mom Cave? 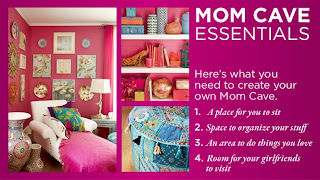 I read an article about the latest home décor trend: Mom Caves. We’ve all heard of Man Caves, where guys can throw back a beer surrounded by the smell of motor oil and the glare of a big screen TV. Or, something like that. Well, apparently it’s now mom’s turn to have a cave. Do you have a hobby? 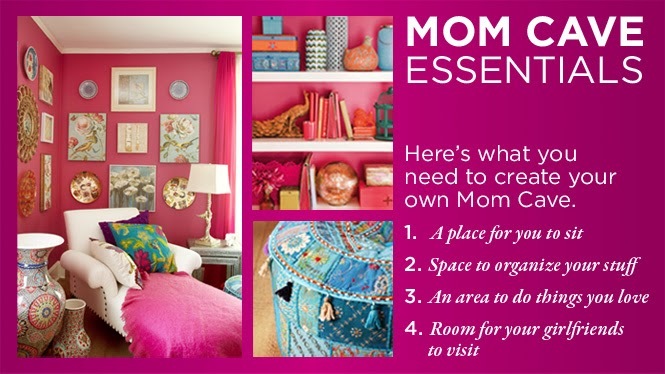 I imagine claiming a space (a la Mom Cave) where you can pursue your specific interests would be very inspiring. Do you remember on the show Will and Grace how Will had always dreamed of creating a room solely for the purpose of gift wrapping? How many scrapbookers wish they had their own in-home scrapbooking studio? I envision a Mom Cave being a space where you could spend time doing the things you love without interruption. For me, it would be a quiet space with a comfy chair and sofa, good lighting, lots of books, serene music, my laptop, and a door with a lock. It would essentially be a super comfortable office where I could relax enough to take a nap, if I so desired. Do I think I’ll ever have a Mom Cave? Nope, not really. I don’t see how I could find the space. I essentially rule over the entire house as it is. I also don’t know how I would find the time to use my Mom Cave enough to make it worth the hassle and expense of creating such a tranquil spot in the first place. Once I got in there, I don’t know how I would be able to block out the loud signs of life outside the door, other than perhaps the soothing sounds of a jet engine in the background. And, I know I would feel somewhat guilty for having a special spot when no one else did in quite the same way. The concept of a Mom Cave sure is fun to daydream about. 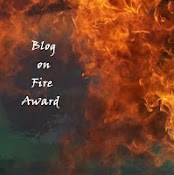 It might be more of a Real Housewives thing…you know: money to burn, more space than you need, and the nanny to help. In my world, it’s not very realistic. How do you create time and space for enjoying the things you love? 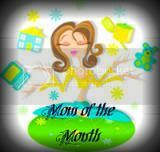 Do you have a Mom Cave? If so, tell me about it! I want to drool in jealousy over the details.